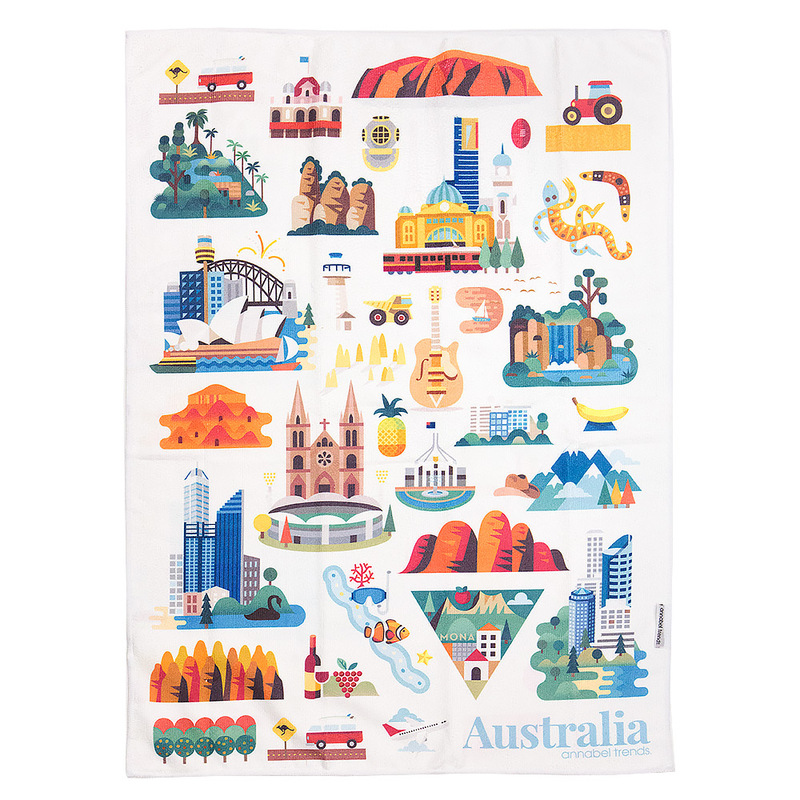 If you love a sunburnt country, a land of sweeping plains, of rugged mountain ranges, droughts and flooding rains, then you’ll love this range of Australia Tea Towels by Annabel Trends. Made from soft, absorbent microfibre, this lovely range of tea towels will catch the eye of room entrants and bring some national pride to your kitchen. Featuring iconic images of Australia, complete with the Opera House, Uluru and the Harbour Bridge, the Australia Icons Microfibre Tea Towel will ensure that no spill is left unwiped. Not only is it a practical accessory for your kitchen, but it will also look simply stunning hanging on your oven door. Made from a polyester and polyamide blend. Warm machine washable and line dry.